Our team treats your home as if it were our own. 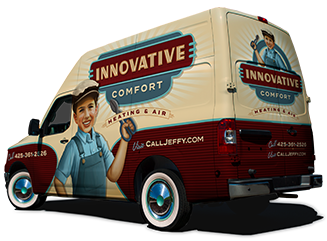 From custom-designed systems to homegrown HVAC solutions, we deliver personalized and dependable services every time. Because of this, opening your door to us is the surefire way to transform your house into a happy and cozy indoor oasis. Plus, with our home automation services, controlling your comfort—and every other appliance you own—has never been easier. Under our care, there’s truly no place like home. A commercial space should feel warm (or cool) and friendly as soon as someone steps foot in the door. This welcoming environment, in turn, leads to greater business success. So, to secure a more fruitful future for your company, trust us to turn your space into one that will make every customer or employee feel right at home, right away. Plus, we'll help you do smarter business—literally—with our building automation services. The safest place to be is inside—or is it? From homes to businesses, indoor air is filled with harmful contaminants that are detrimental to your wellbeing. But there’s no reason to hold your breath with us on your side. Our indoor air quality solutions will help you take control of your residential or commercial environment by closing the door on poor air quality for good. It’s time for you to send those unwanted intruders packing. See why your neighbors keep knocking on our door.